Last week in our CSA share we got green beans. One handful of green beans. 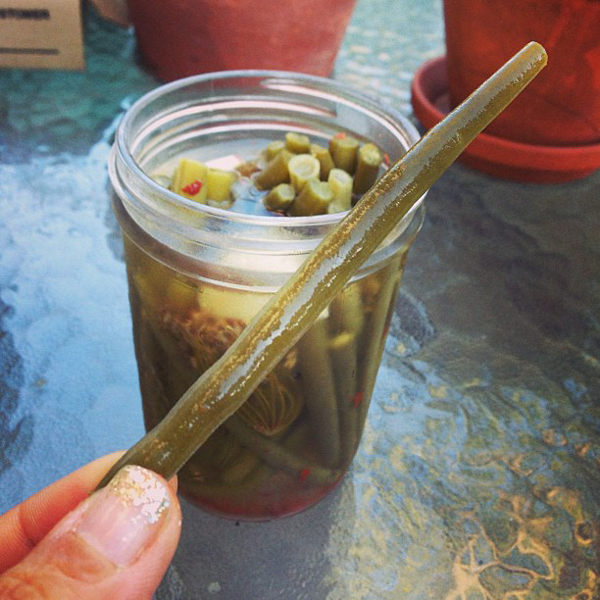 I wasn't in the mood for green beans for supper so I canned ONE jar of dilly beans. I think the kids call this "microcanning". There is even a cook book about it! 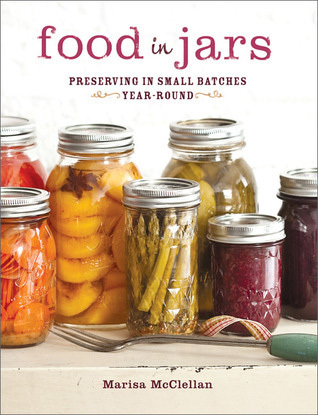 Food in Jars: Preserving in Small Batches Year-Round Canning just one small batch at a time. I don't HAVE to make 20 jars of grape juice all at once. I can make just one jar. Better than letting a bowlful of fruits or veggies go bad. When did cookbooks get so stinkin cute? I love these square ones they come out with these days. I can't keep up with them, I want them all. 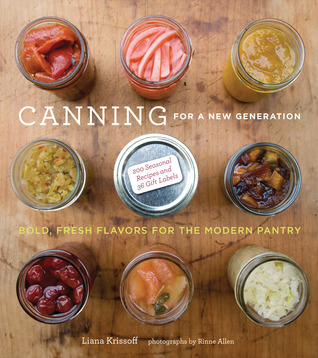 Like this canning cook book, Canning for a New Generation: Bold, Fresh Flavors for the Modern Pantry.